Are you a sucker for small dogs? Chorkie – a combination of Yorkshire and Chihuahua, is a beautiful sassy dog breed. They may not be on the big dog list but don’t let their small size fool you. 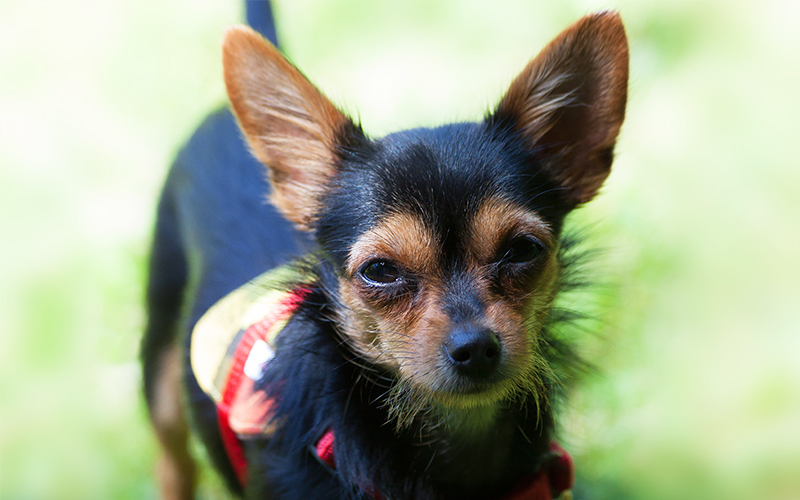 Just meet this feisty Yorkie Chihuahua mix, and you’ll know how self-confident these dogs are. Chorkies are one of the most common dog breeds loved among celebrities. You’ll often them carrying a Chorkie in their outings. So, if you want to get ahold of these sassy little dogs, then you definitely got an eye for the prize. However, before you adopt one, you should definitely know about their characteristics a little bit more. To help you out I’ve given everything you need to know about them in this guide. Obviously, you know by now Chorkie isn’t a pure breed dog. It’s a mix of Chihuahua and Yorkie Terrier breed. Both of these dog breeds are exceptionally small in size, and it’s kind of obvious that their puppy would be the same. Both of the parent breeds are really cute, and you can hope that your Chorkie would be the same too. However, before going for one you should consider their health problems and behavioral shifts from time to time. So, you need to get to know them better before you take them home being overwhelmed with cuteness. Temperament is a big issue when it comes to welcoming a new dog in your family. Every dog has their very own charisma, and you have to figure out whether it suits you or not. Chorkie happens to be a really active kind of breed. Its supper bubbly and bright personality will surely melt your heart. However, Chorkies are also really loyal to their owners and sometimes quite vocal as well. They can be quite tenacious when it comes to their attachment toward the family. Also, they can be very protective and would be suspicious of any new stranger at your home. So, you might want to keep an eye on that. You can easily raise one of them with a young child in your family, but they sometime they could be a bit snappy to your young kids. They mostly adorable, but you would have to get ahold of their actions. If you can’t train them to behave nicely then its better you look for another type of dogs. You may also like: dog friendly hotels in San Francisco. How to Train and Feed Your Chorkie? The stubbornness of its Chihuahua parent is quite prominent in Chorkies. You would have a bit of a hard time training them, but if you introduce positive techniques, then you would see results pretty quick. Always remember that this dog might be small, but it comes with a really big ego factor. To tame it well, you’d have to stop fueling its ego. If you slack off in training, it will think it’s the boss, and if you are too strict, it could become a passive-aggressive kind of dog. So, remember to have a balance. It’s best if you can train them from a young age. You might think that they are very small in size and they might need smaller nutritional needs. But that is totally wrong. They have a really fast metabolism, so they are more frequently hungrier than typical big breeds. Most importantly, they are really active and to maintain that you would need to feed calorie-rich food. Make sure to feed at least three times every day. Feeding it frequently but with calorie-rich food will keep it up to shape. 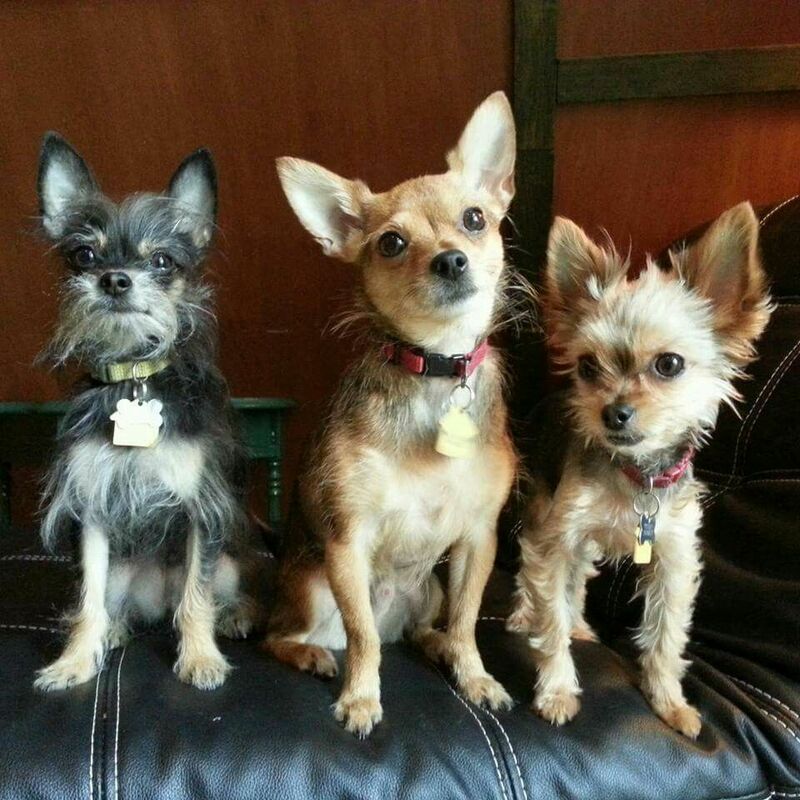 How Many exercises Will The Yorkie Chihuahua Mix Need? 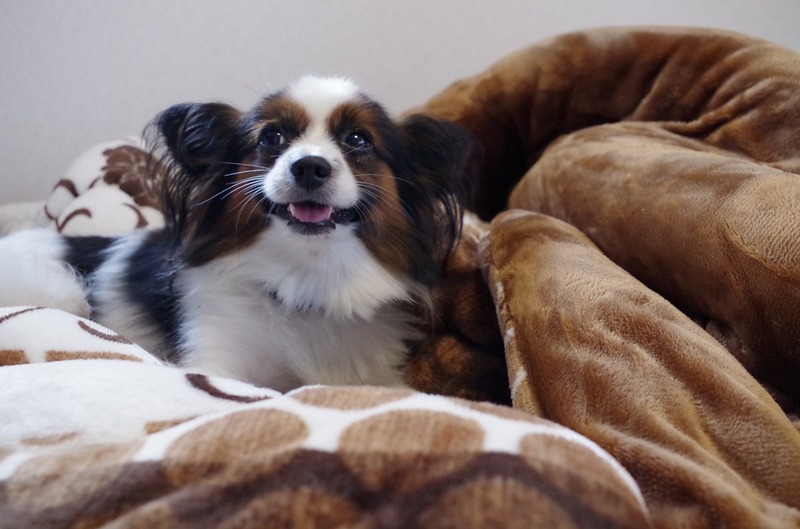 Although the size may seem really small, still the dog is full of energy. You’d need to focus their energy on productive things. If you leave it alone for a long time, it might become a bit destructive. That’s why the best way to calm them down is to go for a walk. At least take them for a walk for 15 minutes or so. But don’t push your pooch too much, you might trigger their metabolism levels greatly. They are mostly indoor kind of dogs, so playing with them can be another good form of exercise. Yorkie Chihuahua Mix dogs might show a color coat of beige to gray, brown to black and white to tan. Some of them might have just one color or small spots of different colors. You could also see multiple colored pups. The variation depends on the parent dogs. If the parent dogs have too much variant of colors, the puppy will get that too. This breed doesn’t shed much, so you won’t have to worry about cleaning your furniture or carpets every day. But even though you would need to groom them daily to prevent any tangles. You should give them a bath every week and also use an organic dog shampoo that’s 100% natural. Don’t forget about their nails and teeth. Make sure to groom trim them and brush them accordingly. Chorkies usually have an average lifespan of ten to fifteen years. Compared to the parents the lifespan is relatively on the shorter side. However, everything depends on the genetics of the parent dogs. Hypoglycemia. They have really high metabolic rate and uses up almost all their power really quickly. If you don’t feed him quite often, his glucose levels might drop. They also seem to have allergy and skin issues. You should really be careful while feeding them and avoid all allergy ingredients. Is Chorkie The Right One For You? It always comes to whether or not you should adopt this adorable pup. Maybe the personality can really match with yours, and you can grow a strong bond with it. However, if you are a working person and not at home for a long time, you might need to rethink your strategy. You would need to get him a companion or make sure he has someone to play with. Also, if you are just starting your family and have a young kid, then you would need to make sure that you maintain the balance well. Obviously, everything about the Chorkie will pay off, and all the training is definitely worth it. Chorkie is a wonderful and fun companion to have around. So, the choice is yours, and hopefully, this guide will help you make the final call.